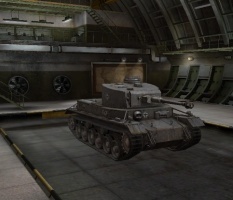 The VK 30.01 (P) is a German tier 6 medium tank. La compañía Porsche desarrolló el concepto de un nuevo vehículo en 1939. El 5 de marzo de 1941, tras numerosas aprobaciones, la compañía preparó los planos, y en julio de 1941 produjo el chasis con acero templado. El chasis y el casco (con equipamiento desmontable para la excavación de zanjas) superó las pruebas de rendimiento. Se fabricaron un prototipo de madera de la torreta y del chasis. En 1942, se abandonó el proyecto en favor de nuevos carros pesados. As this tank was used to prototype the Pz.Kpfw. 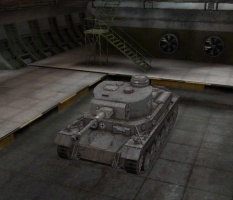 VI Tiger (P), it's similar in size and layout. Its comparatively weak side armour and low traverse rate leaves the tank vulnerable to flank shots. However, it makes up for this with speed and a gun that does a fair amount of damage, both DPM and alpha wise, and is accurate at long range. 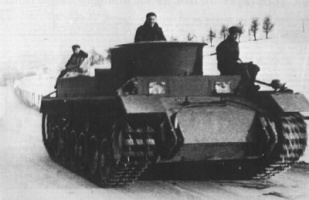 The VK 30.01 (P) leads to the Tiger (P). This is a good support tank with good top speed. You can and should flank with it when you can, but it isn't a full-fledged flanking tank like the VK 30.01 (D). It is let down by sluggish turret traverse and tends to take a while to accelerate from 40 to 60. It can also be an effective sniper as it can make use its thick gun mantlet, so making hull-down tactics very effective. When done properly, it will result in shells penetrating the gun mantlet, but not the actual turret. As always, a lot depends on the MM (i.e. the tier of tanks you are up against). Its decent power (with the top engine) to weight ratio and high top speed allows it to exploit gaps or rush to help in an emergency, but don't expect it to dodge shells in close combat like a light tank, as its sheer size forbids such maneuvers. With the 8.8 changes to the German lines, the VK 30.01 (P) is now the only remaining German tier 6 medium that can use the 8,8cm L/56, giving the tank a much bigger punch than its peers at the cost of 18mm of lower penetration and RoF. You can of course still opt to use the 7,5cm L/70 which is more suited for long range combat, though the 30.02 (M) and 30.01 (D) are generally better platforms for this weapon. Despite this superior firepower, you cannot confuse this tank for a heavy like the VK 36.01 (H). You do not have the HP or armor to lead the charge, and you are a big target. Stay back and snipe, while using your speed to flank when an opportunity presents itself. The FuG 7 and FuG 12 radios carry over from the Pz.Kpfw. IV, as well as 10,5 cm KwK 42 L/28 gun. You should install a new radio immediately. Unfortunately the gun upgrades except for the 88mm L/56 are unavailable until you have the second suspension and turret. If you want mobility, go for the Porsche Typ 100/1 engine first as this vehicle is very sluggish in its stock configuration. To increase firepower and penetration, either upgrade to the 88mm L/56 immediately as it can be mounted without upgrades or save up for the suspension and turret. In 1937, along with Henschel, Porsche was given the task of build the medium tank that would replace Panzerkampfwagen IV. Its design was supposed to be capable of being armed with 75mm L/24 or even if possible 105mm L/28 gun and one 7.92mm MG34 for local defence. VK3001(P) was Porsche's first design since 1927's Grosstraktor I and its drawings were finished by September 5th of 1939 by Porsche's Chief Engineer Karl Rabe. 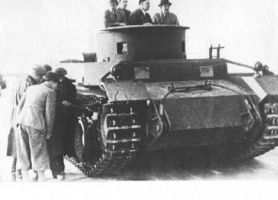 Prototypes were supposed to be fitted with turrets manufactured by Krupp. Porsche considered arming the vehicle with 105mm KwK L/47, 105mm KwK L/52 gun and finally with 88mm KwK 36 L/56 gun (developed from 88mm Flak 36 gun). Six turrets armed with 88mm guns were ordered in April of 1941, but none were produced. 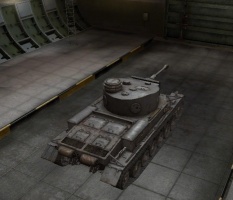 Leopard's turret was similar in appearance to that used on Tiger(P) and Tiger. Porsche planned to power VK3001(P) with gasoline-electric power/drive system (two air-cooled Porsche Typ 100 engines by Steyr and electric transmission). 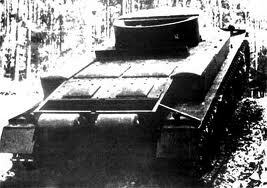 Only one or two turretless prototypes were completed by Nibelungenwerke in St.Valentin, Austria in late (October) 1941, out of 3 hulls originally ordered. Although many problems were encountered with its advanced power and drive system, prototype(s) performed well. During tests prototype(s) reached maximum speed of 60km/h but its fuel consumption was 170 liters per 100 kilometers. In order to solve the engine problems, Porsche designed diesel engine (Porsche Typ 200) but it was never produced. VK3001(P) program was abandoned and two prototypes were used extensively in the development of VK4501(P) - Porsche's Tiger, which started in July of 1941. 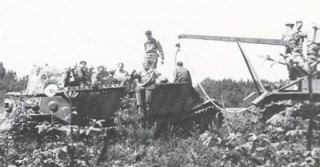 In order to transport VK3001(P) tank, Porsche designed special tank transporter (Panzertransporter Porsche 142), but this project was also abandoned. Tests continued until May of 1942, but VK3001(P) never went into production just like VK3001(H) and VK3601(H). The VK3001P's hull armor thickness is actually 50/40/30 (currently 75/60/40). Actual weight is 30 tons (currently 35+ tons). 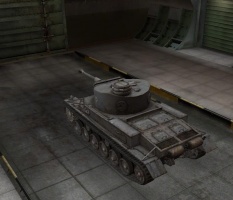 One of the VK3001P's historical armaments, the 7,5 cm KwK 37 L/24, is missing. The 10,5 cm KwK L/28 was never considered for this tank. 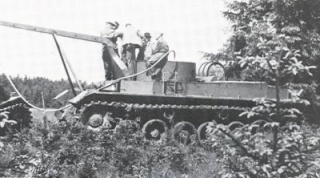 Work on the 7,5 cm KwK 40 L/48 began long after development of the VK3001P had ceased. The VK3001P's only engine output was 420hp. The VK 30.01 (P) Krupp Turm does not exist on the historical record.